Cordless Microphone Pack, containing a Handset and Headset with Hard Case with Digital Display Receiver. 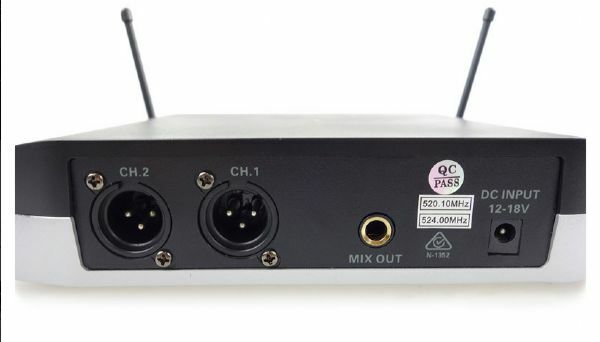 Output is either via balanced XLR sockets (2) or via unbalanced 6.5mm socket (Cable included). This pack features 2 different frequencies to avoid interference between both microphones. Wireless range up to 50M without interference. Complies with new ACMA spectrum requirements. Suits High Quality Pro Audio Amplifiers for rich sound. Usage situation: Gyms, Dance classes, Speaker events, Conferences, Stage plays, Auctions, Sporting events and many more!